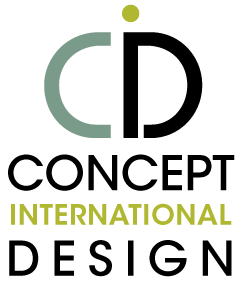 Concept International Design strives to ensure that its services are accessible to people with disabilities and has invested a significant amount of resources to help ensure that its website is made easier to use and more accessible for people with disabilities, with the strong belief that every person has the right to live with dignity, equality, comfort and independence. Concept International Design continues its efforts to constantly improve the accessibility of its site and services in the belief that it is our collective moral obligation to allow seamless, accessible and unhindered use for those of us with disabilities. Please complete the contact form below to let us know if you have any issues. We are happy to help!